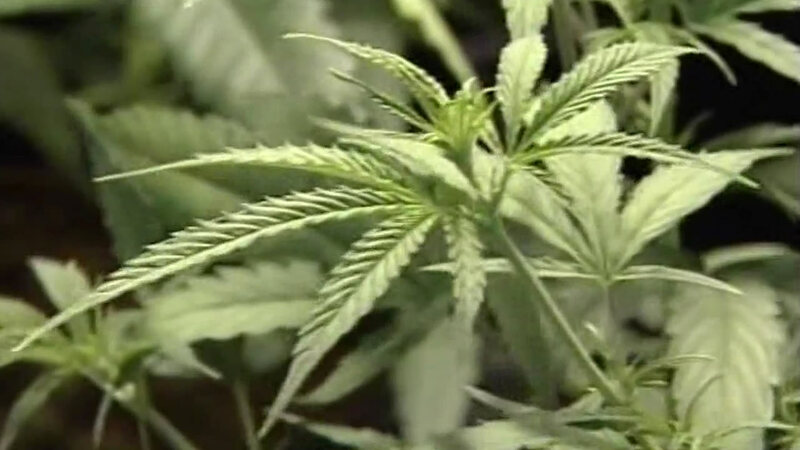 INDIANAPOLIS (WLS) -- Indiana has approved "The First Church of Cannabis" under its controversial religious freedom law. Church founder Bill Levin told ABC 7 that he decided to found the church in late March after the law was passed "since religion is governing this state." 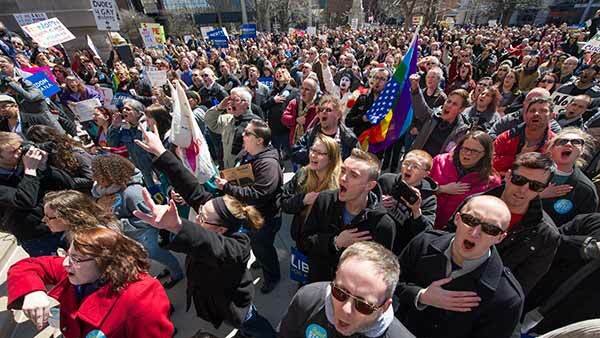 Thousands of opponents of Indiana's religious objections law, which was signed by Gov. Mike Pence earlier this week, gather to protest on the front lawn of the Indiana Statehouse on March 28, 2015. The law has attracted widespread criticism over concerns it could allow discrimination against gay people. "As Elwood said, 'I'm on a mission from God,'" Levin said in a phone interview, referencing the famous quote from The Blues Brothers. Marijuana is currently illegal for medical or recreational use in Indiana, though the church may skirt the law under the state's Religious Freedom Restoration Act, which limits the government from intervening with a person's exercise of religion. Nearly 18,000 people have "liked" the First Church of Cannabis' Facebook page since it went live on March 26th. Levin says he's astounded by the outpouring of support, and is hoping to expand the religion to accommodate the faithful. "In my mind's eye, I thought I'd get 200-300 people from Indiana," Levin said. "I have to think different now. I didn't realize I was going to have the most popular religion in the country." While the new religion was founded on Indiana's RFRA, Levin says he plans to move forward with the church regardless of changes to the law. The church has already received thousands of dollars in donations, and plans to ask members for $4.20 per month in donations. Levin says he is currently looking for a physical location for a "sanctuary" for the church.